PS: This site does not track visitors or track you with those annoying adds that appear all over the place. 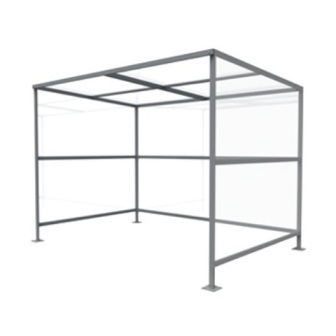 Additionally the phone number is a standard landline and we do not store your email address or send out any advertising. Weekly delivery to London and the South East. 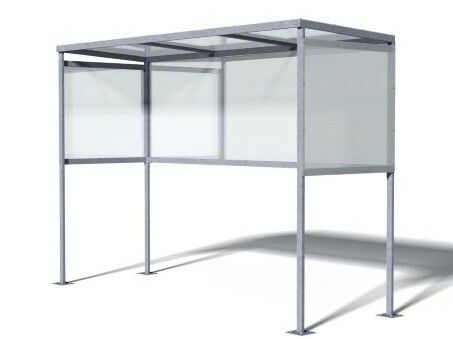 Please note some of our competitors are offering shelters at low headline prices, however these shelters are neither galvanised or powder coated as a consequence they will rust. 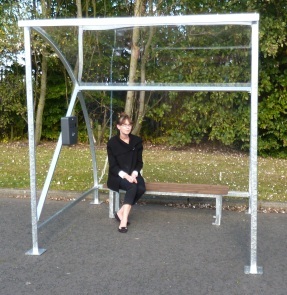 Our shelters are fully galvanised and will not rust for many years. 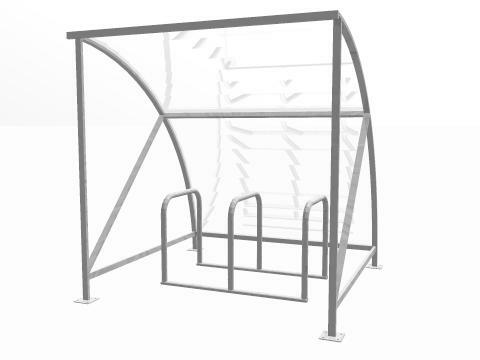 All of our cycle shelters are made with a mild steel frame and are plate mounted, bolt down. 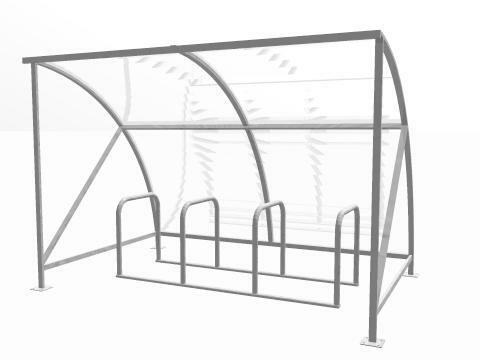 The Eco Cycle Shelter is very easy to assemble and is delivered flat packed. 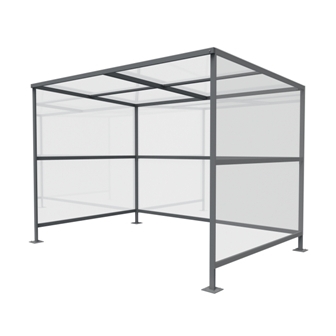 The shelter is lightweight, yet robust and being galvanised will give maximum protection from rust for many years. 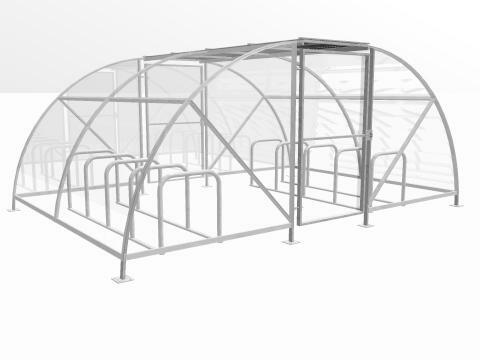 This is a full size shelter and will take up to 10 adult cycles. 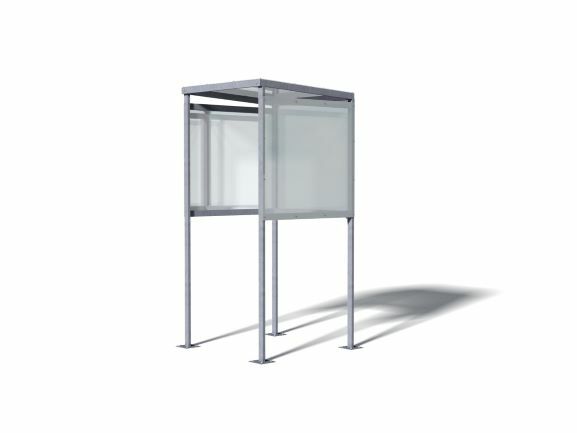 The assembly is very straight forward. 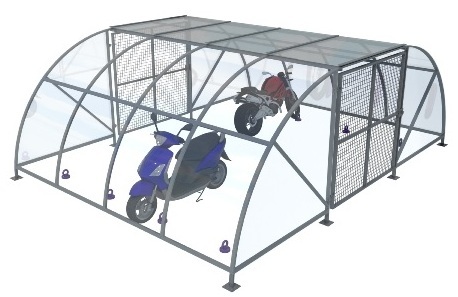 The shelters are available in galvanised finish only, however if you want a painted shelter, simply assemble the frame and paint it to the desired colour (leave it to dry) and then fit the sheeting. 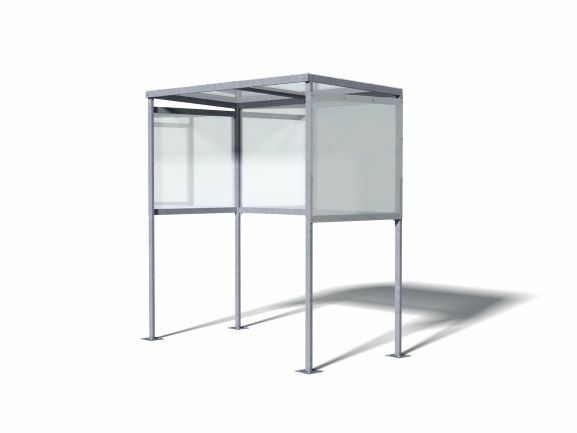 To hand paint a shelter will only take about 45 minutes. 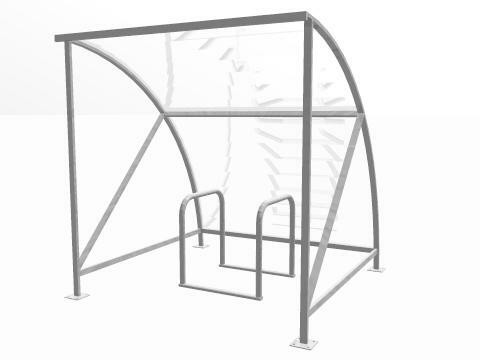 The Cycle Rack is manufactured with 50 mm diameter tube and is also fully galvanised to BS EN ISO 1461:1999. 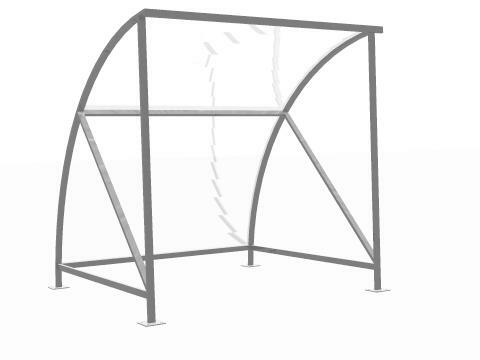 Complete with holes in the ground bar for bolting directly to suitable ground surface. 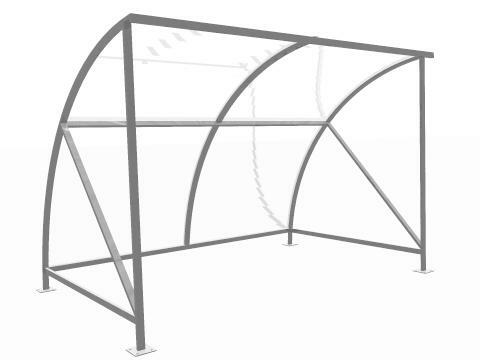 Easy to fit and supplied as a simple assembly with the hoops to be bolted to the ground bars. 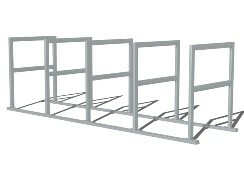 The rack is then ready for ground fixing. 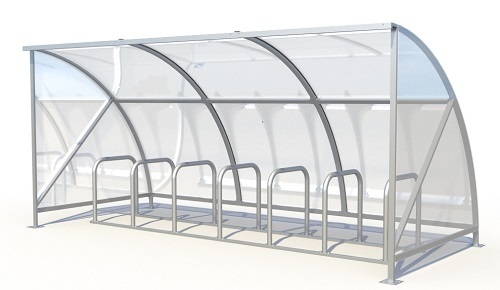 These cycle shelters are one of the cheapest least expensive options available in the market. 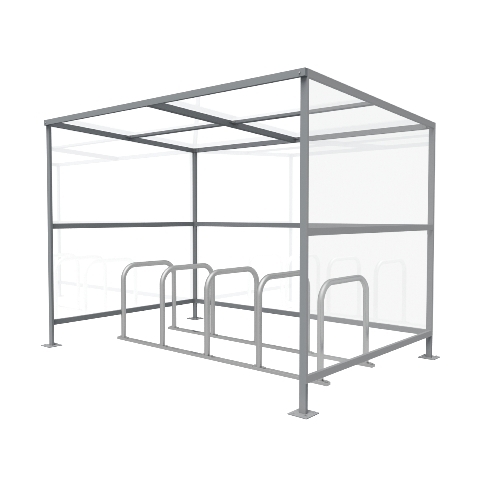 Available as a fully galvanised, mild steel frame, cycle shelter it will give many years of maintenance free performance. 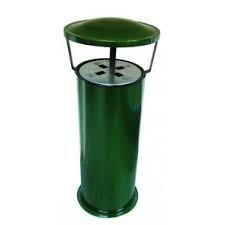 Powder coating available to suit any standard RAL colour. 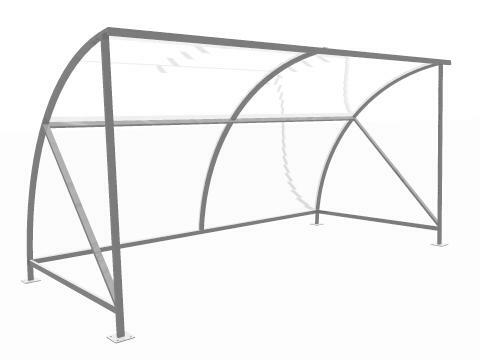 A tough shelter ideal for all applications. 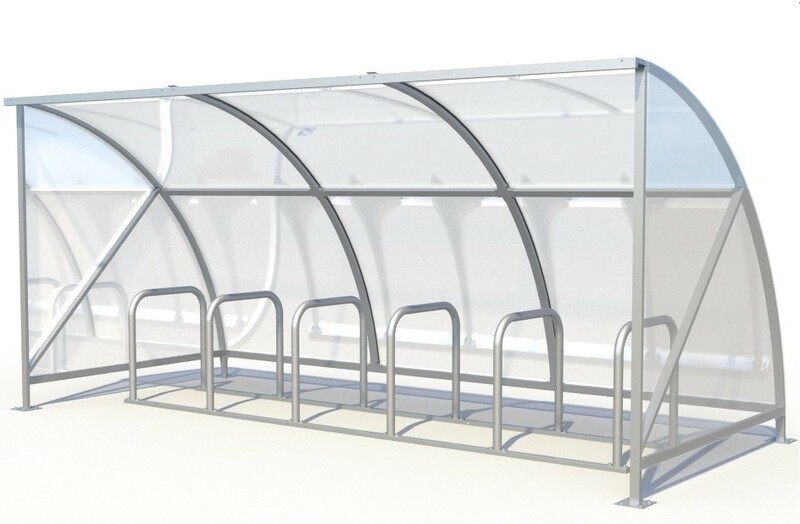 The Eco Cycle Shelter comes with Pet clear view back so that the Cycle Shelter can be seen from all angles and provides a secure weather proof environment. 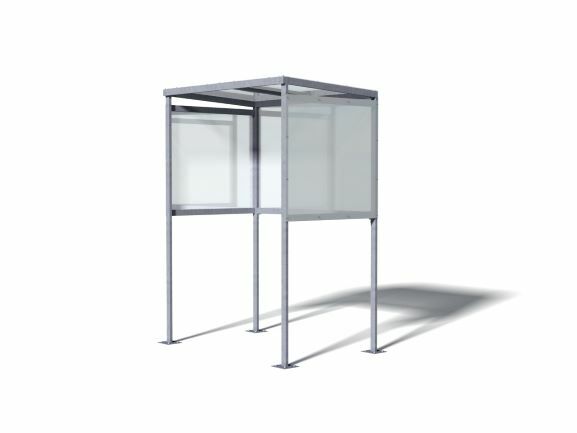 The shelters are delivered flat packed and are specifically designed for very easy assembly. Available ex stock so you can have them within a few days. 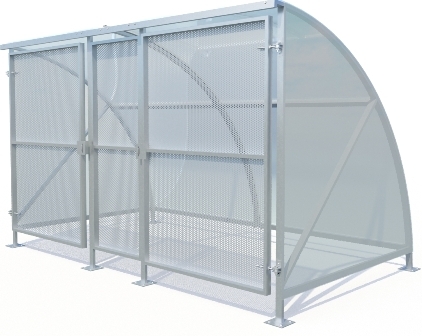 This has to be the least expensive mild steel galvanised shelter available in the UK.